With the 2010 Academy Award nominations being announced yesterday, my ambitious movie watching schedule is kicking off as I try to catch as many flicks as possible before the March 7 telecast. It's always fun seeing what big titles get the nod (like Avatar), but even more so, hearing about the pictures that flew under the radar and still got recognized (like A Single Man). And despite my love of movies, independent cinema, and the 'industry', there are actually several things that bother me about the spectacle that is the Oscars. From who's wearing who to the redundant questioning and forced banter, I find the red carpet to be a drawn out and cringe-worthy experience to watch. Some people love this part the most - the celebrity of it all, etc. - but to me the show itself has enough of this already. It's mainly a pointless fashion parade with unintelligible commentary throughout. I can almost handle it until you witness a host giving a brush off or not realizing who the person is they're talking to - *cringe* no thanks (it's awkward television without the punchline). The need to cut to actors and celebs for reactions to jokes or any mention of a related project is often painful to witness. It's inevitable to happen - someone isn't paying attention, is obviously disappointed after a loss, or is forcing their 'I'm cool with this joke' smile - it can immediately take you out of the moment (or ruin the illusion of the Oscars) when the cutaways seem so uncoordinated. You know the ones - celebs trying to thank everybody they ever worked with and their dogs. This becomes especially tiresome when the music starts up and they rattle through 50 more names. Timing is everything, and a great speech is in the moment, concise, and with only a very select mention of those either directly involved or otherwise overlooked. 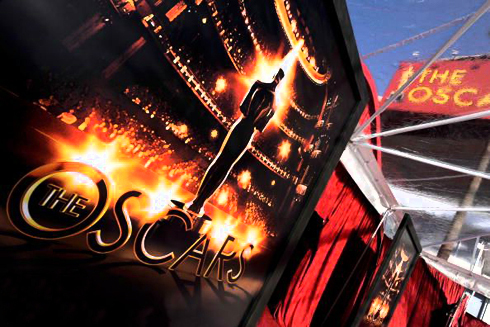 Everyone knows the Oscars are long and it's one of the telecasts greatest weaknesses. I sit through it because I actually care who wins, but I completely understand people getting bored. Trying to group more of the technical awards together or finding more creative ways to give them out (the multiple Oscar winner presenters was a nice touch last year) is becoming more essential as the Awards dip in the ratings. It's tough to sit through when the ultimate celebration in movies becomes the ultimate lecture. Regardless of all these things (which I understand are inherently part of the Oscar experience to begin with) I'll be tuned in to see who wins. Watching the nominated movies still remains the best part of the Academy Awards in my opinion though, and that's as it should be I think. I guess it takes all kinds to make a world. The last time I cared about an Oscar nominated movie was when The Silence of the Lambs won. I guess we're at different places in our lives. Whether you care about the nominations or not, I always find it interesting to have a gauge of what the critical census is - who, after all, doesn't enjoy movies? To me the Oscars are a great way to measure my own opinions against those who are actually making mainstream cinema. I like lists so i enjoy hearing about who won and may check out movies but I think award shows should be banned from TV. If they can give out an award for worst TV their own show would win it. That or Survivor. Haha, poor M, you and your cynicism. Half a Million Video Views! !